We produce a line of rabbit fur massage mitts using quality rabbit skins. They are made one-size-fits most and come lined. 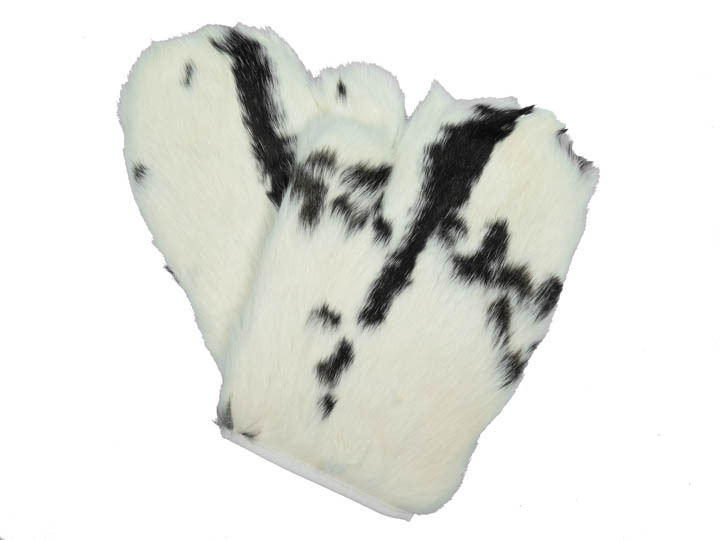 The Spotted mitts are made from white rabbit skins that have natural gray or brown spots. The Yin/Yang mitts are black on one side and white on the other. They represent the duality of male and female. 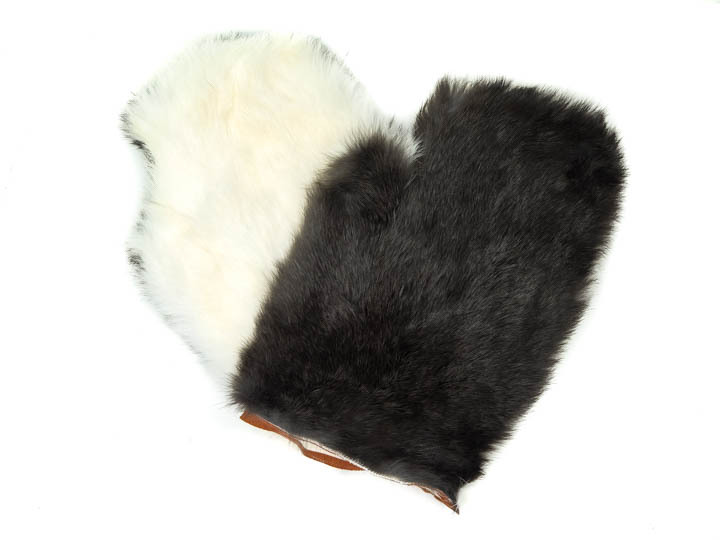 The Rex rabbit fur mitts are made using castor (beaver) color rex rabbit--one of the softest natural textures around. These are truly decadent. 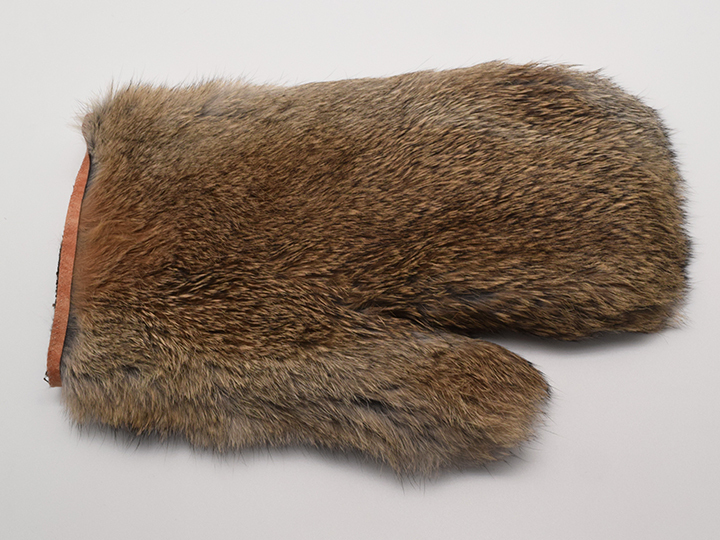 The Bunny Brown mitts are made from Spanish bunny brown rabbit fur. 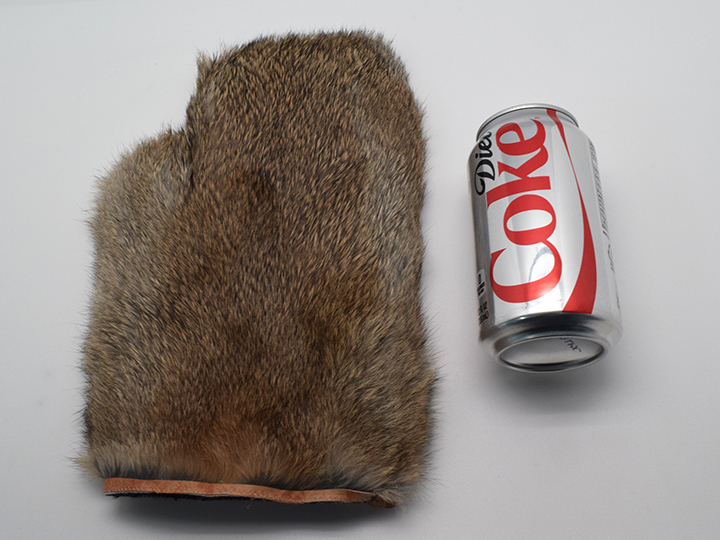 One pair is measured to be 10.50" long, 7" wide across the palm, 6" wide at the bottom and 8" from the top of the thumb to the bottom of the glove. It weighed 0.13 lbs. 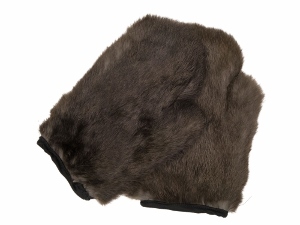 We also have Rabbit Fur Massage mitts with no thumbs. 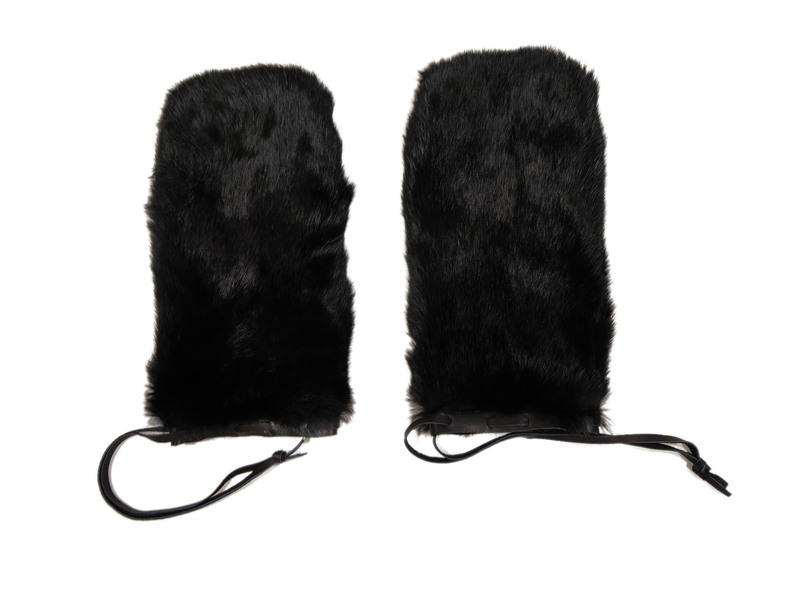 The dimensions are similar to the other massage mitts, and they come unlined and only in Black Dyed. See below for instructions on how to care for your massage mitts. Rabbits are not endangered and are not subject to CITES or USFWS. 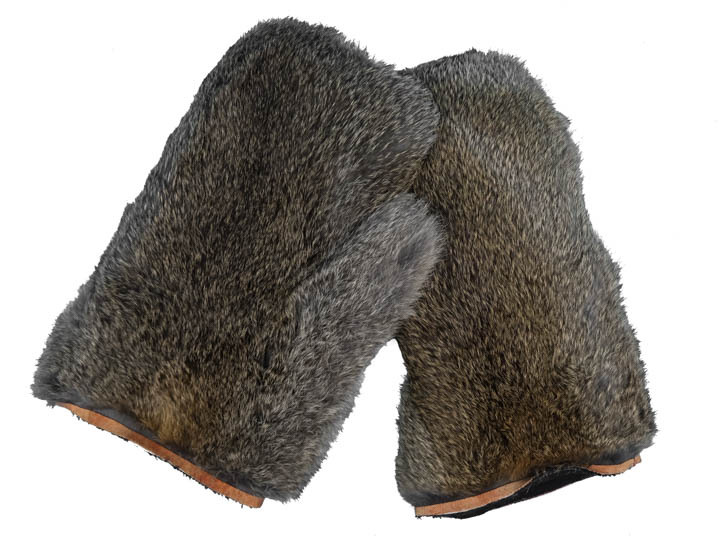 Do not use oils with the fur massage mitts or you will have a mess. 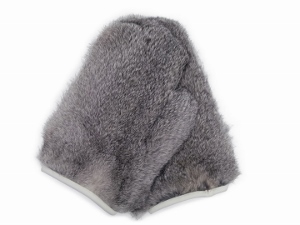 Do not dry clean the rabbit skins as the dry cleaning process will remove the natural oils from the rabbit skin. 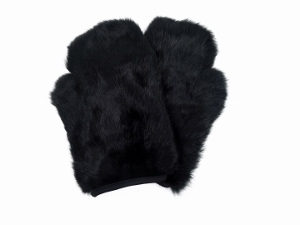 Do not immerse in water or the mitt will shrink. 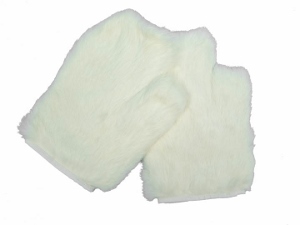 Spot clean with Eucalan™ Wool Wash.
See our Bed of Roses for a nice complement to the massage mitts.